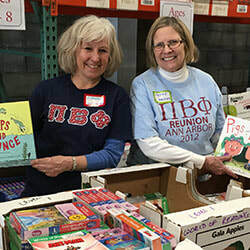 ​​Through our Pi Beta Phi partnership, your alumnae club has been created and pre-populated with your current alumnae members on memberplanet. We sync in real-time with eReports. As a club officer, you have administrative access on the platform to communicate, collect payments, and manage your members. ​memberplanet is to be used by clubs for collection of LOCAL DUES and ANGEL DUES only. International Fraternity dues are set up and collected each fiscal year by Headquarters. Local Dues and Angel Dues need to be set up each fiscal year by your club. Below is quick reference to get started with dues collection. For a detailed memberplanet Dues Collection Checklist, please log into the Resource Library by clicking here. If you are a new officer and are having trouble accessing your account, please reach out to memberplanet at (888) 298-8845 or email Support@memberplanet.com. We are available M-F 8:30 a.m.-5 p.m. PST. New users should setup an account. Existing users should update their account. Don't know your login? You can also email Support@memberplanet.com and provide your full name and alumnae club name. You will be sent an email invitation to get started and ensure you are set-up with admin capabilities. After receiving invitation, choose a password to activate account. (B) Update Account - ONLY Existing memberplanet users (July 1 of every year). memberplanet is to be used for collection of LOCAL DUES and ANGEL DUES only. International Fraternity dues are automatically set up and collected each fiscal year by Headquarters. Bonus: We sync with eReports in real-time and Pi Phi Headquarters will send out local dues invoices in the middle of the fiscal year for any alumnae member that still owes International and local dues. Create this fiscal year’s QuickPay Charges for local dues (multi-level options are available). Learn more here. Add additional donation options to allow alumnae to donate to the club while paying dues. Learn more here. 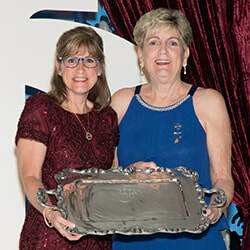 If you have never added your alumnae club’s bank account, click here to view how to add account. *Note: there is a processing fee of 4% + $0.30 per transaction for all electronic membership transactions. The best way to notify your members of your local dues request is through a customized email. 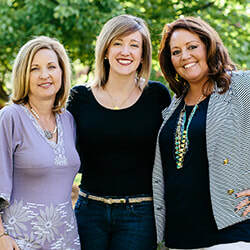 Each alumnae member has their own specific link. Uncheck the box next to “Alumni” and check the box next to "My custom templates." Choose the one you prefer. We recommend sending an e-newsletter a couple times throughout the fiscal year as reminder to pay dues. You can include upcoming events and a spotlight section for alumnae engagement. This is a great way to keep in touch with your alumnae and allow them to pay International and local club dues at the same time. Any online payments will sync with eReports. Email campaigns are great for a monthly newsletter while Broadcast is perfect for weekly updates, event reminders, or announcements. Pro Tip: Whether you're running errands, at work, or volunteering, you can send a Broadcast through the Mobile App. Communicate with your members any time, anywhere. Super Pro Tip: Text messages have a 98% open rate. Who doesn't check texts on their phone? Try sending out a Broadcast; more are increasingly wanting to receive texts because of their convenience. Read more: 6 Tips to Make your Newsletter Ah-mazing!